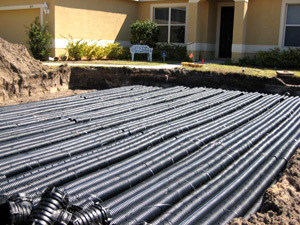 We offer the comprehensive drain field services you need in Ocoee. At Sauer Septic, we believe that your septic system is a critical part of a functional home or business, and that involves more than just having a septic tank that works well. The other components of your septic system are also important, including your drain field. Responsible for the safe release of gray water back into the ground, a drain field that isn’t working properly can lead to some serious problems for your home and your property in Ocoee, Florida. Fortunately, we offer the comprehensive drain field services you need to keep your entire septic system working its best. Design – At Sauer Septic, we offer a variety of drain field services, including design of a new or replacement drain field. Whether you have recently discovered that your current drain field isn’t functional or you are building a new home and want to make sure you are in good shape, we can assist with your septic design so you get great long-term results. Install – Once your drain field is ready for installation, you can rely on our experienced team to provide this important drain field service. We are licensed and insured and will help with all the proper permitting to make sure your new drain field is installed without a hitch. Maintain – Lastly, you can rely on us at Sauer Septic for routine drain field maintenance and inspections. By having us complete these drain field services at your property, you’ll never have concerns that your septic system isn’t working its best. 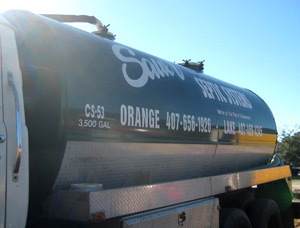 If you suspect you need drain field services or any other septic services in Ocoee, contact us at Sauer Septic today. No job is too big or too small for our team.